2017 Driver Registration Now Open - Time Attack® - It's not racing... It's Time Attack!! 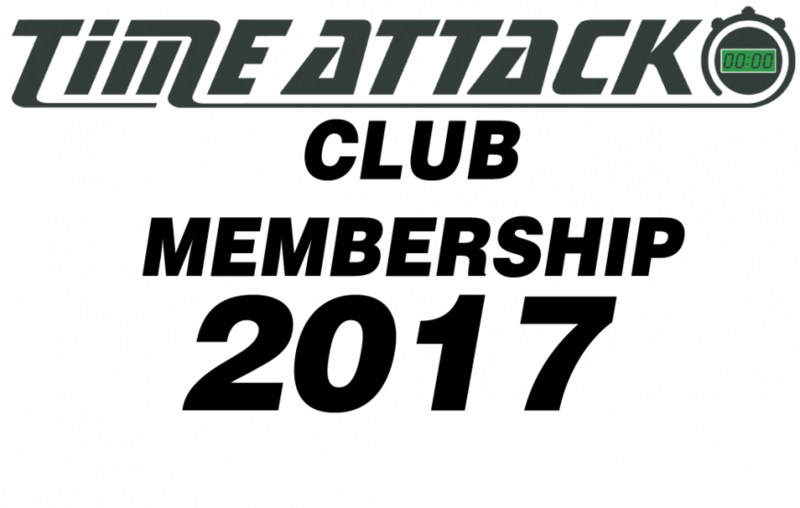 Teams and drivers that wish to enter the 2017 MSA Time Attack Championship are now invited to register their intention by purchasing Club Time Attack membership in advance from our online store. The Time Attack Club fee of £50 will officially register your intention to enter the 2017 championship and enables you to declare your preferred class for consideration prior to the start of the season. This provides championship organisers the opportunity to correctly assemble the classes in terms of entry numbers and balance of performance, ensure adequate track time is provided for every competitor throughout the season and to gear up resources as required. This pre-registration allows you to confirm your intentions early and provides you with membership of Club Time Attack, which is a requirement for all competitors and is a fee usually paid with event/championship entry. It also ensures that you are included on the database to receive bulletins and regular information throughout the year that is sent only to those who have declared their interest by pre-registration and paid the club fee. If you are intending to enter in 2017, please go to the registration page in our online shop. Once on the page, select the class that you believe to be most suitable for you car from the drop down menu and follow the shopping cart and payment options. Having received your application and payment, we will confirm receipt and keep you updated with news about the championship. We will also review your application to determine a specific class for your car in order that you can make plans for the coming season with confidence. Please note that further information and photographs may be requested as part of the class suitability consultation process. The annual club membership runs from the date of purchase to December 31st 2017 and is non-refundable. The membership does not guarantee entry, nor does it guarantee the classing of your car. All entrants of the 2017 season are required to pay the membership fee, whether as a full-season Championship contender or as part of our single round entry scheme for one-off event participation. Either way, this advance application for membership is to formally declare your intentions. No further membership fee will be payable for the 2017 season. Further payment of entry fees will be due early in 2017 and full details of these charges will be provided in due course. If you have any questions about this membership application process, please contact us. If you have any questions about the championship itself, then you may be able to find what you?re looking for in the following list of FAQs. I would like to enter the 2017 Time Attack Championship but don’t know how to go about it? For 2017 you need to first register your intention by joining Club Time Attack (please see details above). This applies whether you are intending to compete for the whole season or are entering a single event. Either way, you will have to register for Club Time Attack. Having registered, you will be informed when the on-line championship registration form is in place. What class is my car eligible for? Submit your advance registration for Club Time Attack (please see details above) and select the class you feel most appropriate for your car. You will then be informed when the on-line championship registration form is in place. At this point, you will be asked for further details about your car. The organisers will then allocate your car to the most appropriate class accordingly. You may be asked for further details and photos of your car in order to assist the organisers in making their final decision. I have never competed before. What sort of licence do I need? Alternatively, the form can be downloaded here. Can I enter a few events this year and then contest a whole season the year after? Yes. You can enter one-off events during the course of the season as a Single Event Entry (formally known as a One Hit Wonder). However, if you chose this option, you are not eligible to score championship points. Points can only be scored if you register for a complete season. Every Time Attack round consists of four x 15 minute sessions: Warm-up, Practice, Qualifying and the Final. Unless otherwise stated in the event regulations, all competitors will have the opportunity to contest all four sessions. Results are based on times set in the final session. If I modify my car midway during the course of the season, what happens then? Time Attack has a philosophy that encourages modifying and improvement. However, if upgrades are carried out that exceed the specification of a class or the window of expected lap times, a competitor will be instructed to move to another class. Any championship points scored in other classes will not be carried over. Pro and Pro Extreme Classes: Pirelli racing slicks and wets. Specifications, tyre supply, pricing and technical support from Pirelli will be confirmed in the championship regulations. I am intending to enter Time Attack for the first time and would like to know what safety equipment and other items are required for the car and driver? Click here to download a list of the minimum requirements and options. What are the limits concerning aero? Pocket Rocket and Club Classes: Rear wings should not extend above the roof or from the rear of the car by more than 150mm and should be no wider than the car itself. Additional front aero should not extend more than 150mm from the car. Flat floors are not permitted. Club Pro and Pro Classes: As per Club Classes, except flat floors are permitted. Please note that these specifications are subject to verification by the MSA and will be confirmed in the championship regulations.